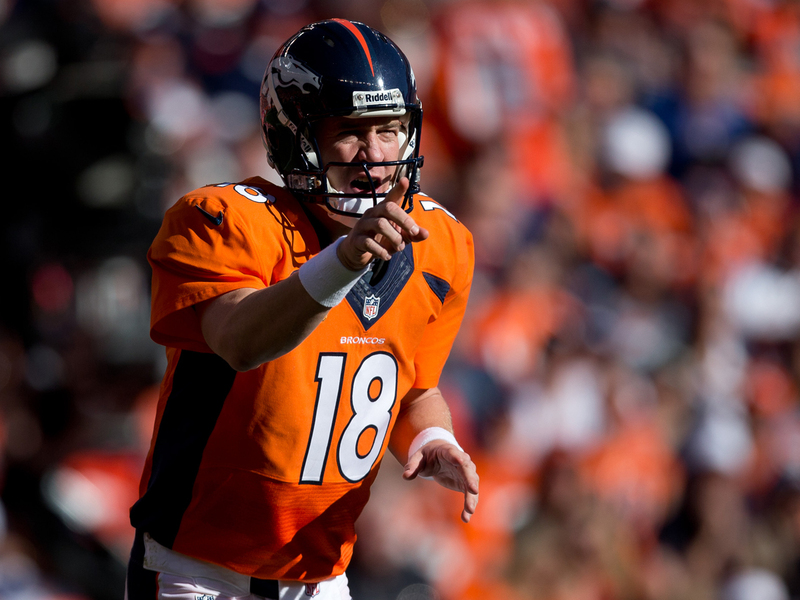 Can Peyton Manning beat Father Time? It inevitably happens to every athlete, in every sport. The mind is willing but sadly the body is not. Through years of repetition and in the case of the NFL, violent collisions, the body says ‘enough’ and father time appears at the door, ready to be let in. No one is immune and regardless of greatness the end can be swift. Peyton Manning, Quarterback for the Denver Broncos is watching the sun set on his Hall of Fame career. For all the ‘Star Wars’ stats over the years, the drop off this season been swift, the numbers don’t lie. In his first year for the Broncos after enduring 4 neck surgeries and subsequent release from the Indianapolis Colts, making him the most sought after free agent in NFL history, Manning picked up right where he left off in Indy with gaudy numbers for Denver. However, this season, not so much. 2015: 9 Touchdowns 17 Interceptions, through 9 games. 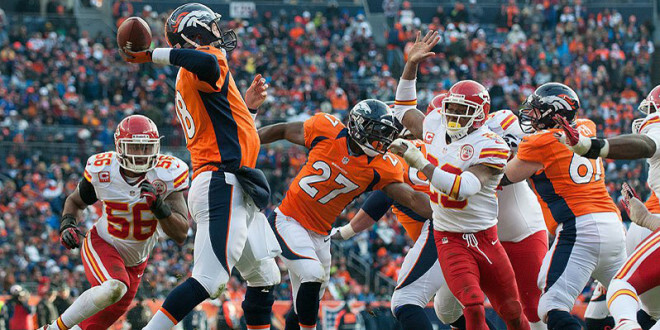 Last weekends’ home game against the Kansas City Chiefs was disastrous, the worst of Manning’s career. 4 interceptions, 5 completions for 35 passing yards. In the 3rd Quarter he was benched for back-up Quarterback Brock Osweiler, who will start this week against the Chicago Bears. Reports after the game revealed Manning has been dealing with foot and rib injuries. The decline really started last season against the St Louis Rams when Manning was sacked multiple times in a 22-7 loss, his body took the proverbial beating, from that game on he never quite recovered and Denver ran the ball a lot more the rest of the season. Speculation was rife in the off-season that Manning might retire with Broncos General Manager and Hall of Fame Quarterback John Elway giving Manning the space and time to make a decision about weather to come back. He did and those numbers declined dramatically. The Broncos defense has not only kept them in games this season but also bailed them out of most games late in the 4th Quarter. The Broncos within the next few weeks could have some big decisions to make if Osweiler thrives in Coach Kubiaks’ offense running plays from under-center and bootleg passes on the run. If Denver is winning games do they bring Manning back if/when he is fit enough to compete or do they stick with the newcomer Osweiler? 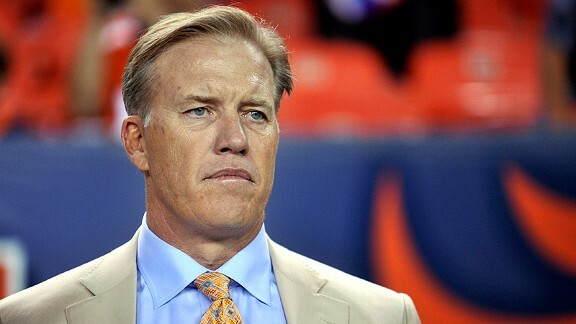 John Elway has only one goal in mind, to win another Super Bowl, he will not hesitate in keeping Manning on the bench, effectively ending his career, if he thinks Osweiler can take them all the way. It’s a big ‘if’! Every Broncos fan would love to see Manning come back at some point this season, relatively healthy, play at a level high enough to allow a Championship caliber defense to carry this team through the playoffs. Peyton Manning has been a great ambassador for the NFL through 18 seasons and even for the casual fan its been tough to watch him this season, mostly a shadow of his former self with moments of brilliance. I wonder if Manning does come back, he may announce this season will be his last, looking to galvanize the team knowing the Manning era in Denver will well and truly be over, this definitely being their last chance to win a Super Bowl with a Hall of Fame Quarterback. However this plays out, the window is closing for Manning and the Broncos; father time is waiting impatiently at the door. I hope Manning gets one last shot and at the very least makes a deep playoff run, its what he deserves.